Composed by Samuel Ward. 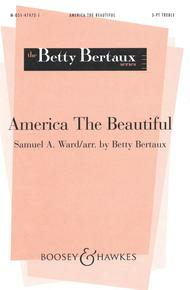 Arranged by Betty Bertaux. BH Betty Bertaux. American, Contemporary, Classical. Octavo. 8 pages. Boosey & Hawkes #M051474721. Published by Boosey & Hawkes (HL.48005139). 7x10.5 inches. Ward (arr. Bertaux).